Author to Business Owner marks the launch of a new series of blog posts designed to provide first-hand business tips for each and every writer. Each special guest has graciously imparted knowledge of their writing business in hopes of encouraging fellow writers to grow and manage their own businesses. With this, I warmly welcome Susan K. Marlow, children’s book author and part-time editor, to share her experiences with us! I write historical adventure (with a biblical worldview) for kids from ages 5-14. The Circle C Adventures series for readers 9-14 features 12-year-old Andi Carter, her family, friends, and her horse Taffy in six books of Old West Adventure on the Circle C Ranch in 1880s California. The titles include: Andrea Carter and the … Long Ride Home, Dangerous Decision, Family Secret, San Francisco Smugglers, Trouble with Treasure, and Price of Truth. The Circle C Beginnings are first-chapter books for ages 5-8. They follow the younger adventures of 6-year-old Andi and her baby horse Taffy in 1874. Those six titles include: Andi’s . . . Pony Trouble, Indian Summer, Fair Surprise, Scary School Days, Lonely Little Foal, and Circle C Christmas. I also write study guides and activities to go along with the books, which make them very homeschool friendly (since they are free PDF downloads from the website). I have also written a writing workbook for ages 8-13 titled Reach for the Stars! Young authors work through all the elements (and extras) they need to create a fiction story from beginning to end. Share a brief summary of your writing career. My writing career was launched when I wrote my first poem, “The Reflection,” in the third grade. I moved to writing outer space stories from there and wrote throughout high school and college. As a homeschooling mom, I taught all day and “escaped” into the Old West at night. Thus were born the Circle C Adventures. Most were written before I ever dreamed of pursuing publication (in fact, I had no desire to be published. I just liked to imagine and write stories). Again, my mentor prodded me into publication so I could share my stories with others. Do you write full time or do you still have a day job or outside income? I have a part-time “day” job as an editor and proofreader for Winepress Publishing Group, a custom publisher. I work pretty much “full time” on various aspects of my writing – mostly marketing, which takes a good deal of time away from actually writing the latest book. My biggest publishing break occurred when my mentor, an established author in the CBA industry, endorsed my work and recommended me to her editor, who is the managing editor at Kregel Publications. As a result, my manuscript leaped over the “slush” pile and landed in the editor’s lap. Networking is the key (plus having a saleable manuscript) to having your work looked at by a publisher these days. My biggest business break occurred when the Editorial Director from Winepress Publishing found out I love to edit and proofread. She offered me a job (again, networking was crucial. She was in my writers group). This was a huge break, as it was a way of earning money that I could put back into the business without taking away from our family’s income. Most authors do not make much money from royalties, so having the extra income has allowed me to promote my books with postcards, brochures, bookmarks, etc. as well as finance homeschool conventions. What is your business structure (sole prop, partnership, nonprofit, corporation, etc)? I’m the sole proprietor (if that means my name is on all the official paperwork). But I couldn’t do it without my sweet husband, who organizes all of our conventions, does the banking, and takes care of all the taxes and other “business-related” tasks. How do you do your record keeping (on paper, QuickBooks, use a bookkeeper, etc)? Every time I make a purchase or receive any income, I write it down by hand on a printed-out Excel spread sheet my husband and I created. It is divided into a variety of categories, including the titles of my books so I can keep track of any orders that come through. After I record the expense, I stuff the receipt into an envelope for safe keeping. Once a month, I transfer the hand-written data into my Excel spread sheet on the computer, which keeps a running total of every expense and every amount of money earned, year to date. The Excel sheet also keeps track of my total net income, which is very handy, as I have to pay the IRS quarterly taxes. My husband and I have discovered that we LOVE homeschool conventions. We have done several since 2009, and did 10 in the West this last year. Our future plans include expanding to being a vendor at homeschool conventions in the Midwest in 2012, and possibly even the East Coast and South in future years. As far as my writing business, so far I have been content to be a CBA author and let the publisher do all the work putting the books together. But we are seriously thinking about venturing into the self-publishing world some day. Thanks Susan for taking the time to volunteer your experiences and advice! 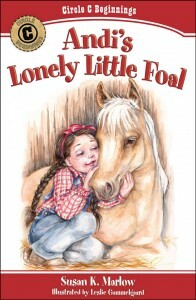 We look forward to reading your stories like, Andi’s Lonely Little Foal. 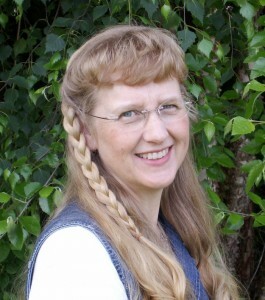 Be sure to visit www.CircleCAdventures.com and learn more about Susan’s stories and curriculum. Your writing business can be just as successful as Susan’s; pick up a copy of my book, Business Tips and Taxes for Writers, to launch your own business. and many more topics fro homeschool group leaders! Be Prepared for Sales Tax! I'm an author, accountant and speaker. I enjoy helping start-up micro business, teen age entrepreneurs and small nonprofits. I am happy to do guest blog interviews, or radio and podcast interviews on my books or on the topics of taxes, nonprofits or starting a micro business. Contact me to arrange an interview. Visit my About page to learn more about me!